I had always assumed this song was the brilliant brainchild of "They Might Be Giants," an alternative rock band from my childhood. Thanks to my friend, Chad, for enlightening me, as this swing-style song was originally recorded in 1953, by a Canadian group called "The Four Lads." Who would have thought it! 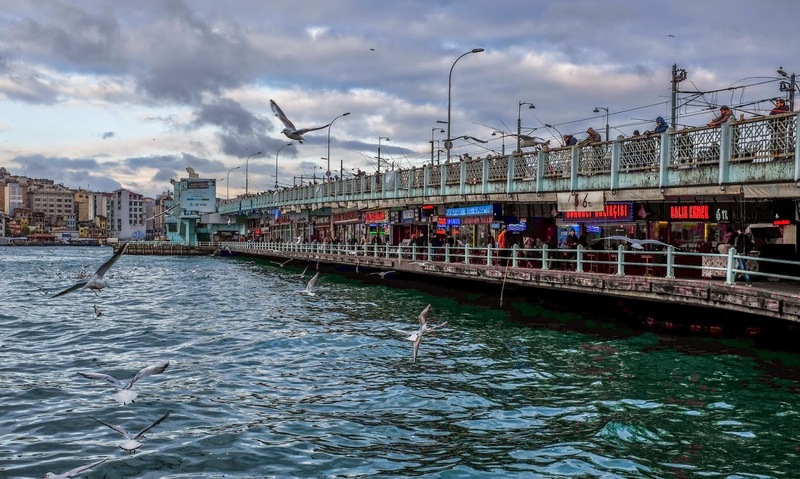 the primary inlet of the Bosphorus Straits. The upper deck of the bridge was lined with fisherman, night and day. Did you know that Turkey spans two continents? Yup, Turkey is in both Europe and Asia. The Bosphorus Straits, which divide the city of Istanbul, also divide the continents. Although Turks generally consider their country to lie within Europe, the truth is that most of the country (97%) lies within Asia (technically "Asia Minor"). Shortly after Mom left Turkey, Ferit and I headed out on a three-day trek along the Lycian Way. The Lycian Way, which stretches 509 km along the southwest coast of Turkey, is commonly referred to as one of the best trekking routes in the world. 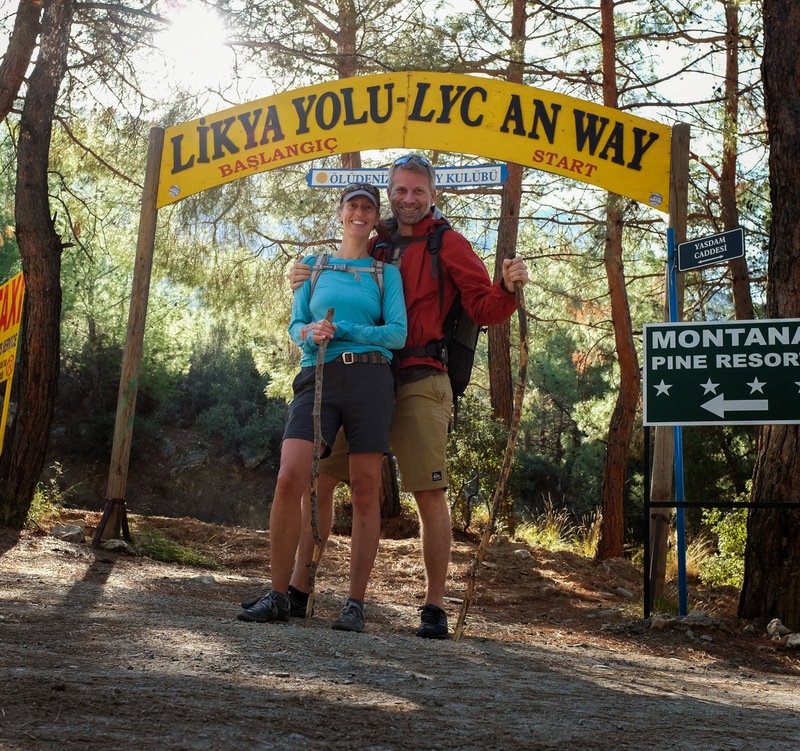 I don't know about you, but I had never heard of the Lycian Way before traveling to Turkey. I had, however, heard of the Camino de Santiago, made famous by the movie, "The Way" (a great movie starring Martin Sheen and Emilio Estevez). In essence, the Lycian Way is Turkey's version of The Camino. Me and Ferit, at the official start of the Lycian Way. As our trek was only three days in length, and as we aren't superhumans, we experienced just a taste of the route -- approximately 35 km, from Fethiye to the Butterfly Valley, in Faralya. The final days of the road trip with Mom took us to the ruins at Aspendos and Olympos. If you were to ask me, "Sarah, which food most closely resembles this segment of your road trip?" then I would reply, "This segment of the trip most closely resembles a sandwich; two ancient theatre ruins served as the bread, and a whole bunch of other ruins served as the sammich's yummy fixin's." The first ruin we visited was the theatre at Aspendos. Built in 155 BC, the theatre is well known as the "best-preserved theatre of antiquity." the wonderfully-preserved ancient theatre at Aspendos.